The new mr.play design is super sleek and has been catching the attention of new players from around the globe. The fresh look, and new feel is carrying mr.play right into the new year as one of the eminent casinos in the the industry. The new design that will make playing your favourite games even more exhilarating. 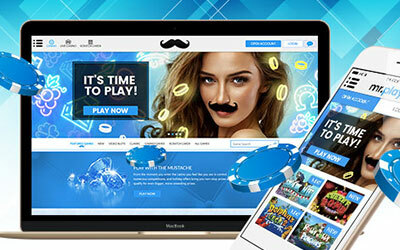 With easier navigation, a wider game selection and quicker access to promotions and Live Casino, mr.play members will quickly see the improved quality of service that is making mr.play one of newest and most popular online casinos to date. Having jumped onto the scene at the end of 2017, mr.play shot up the line and drew much attention to its casino offering. The casino is giving its players an enhanced opportunity to control their game play through quicker upload and faster access to the many casino lobbies. mr.play offers an Android app, as well as a fully responsive mobile version for all devices, that enables players to choose when and where they play. Playful, reliable and respectful are the principals that mr.play continues to abide by, and the newly designed casino demonstrates this commitment to its players. The new design carries an increased amount of games, 450 + with new game releases slated each month. In addition to the increased game selection, mr.play continues to forge new relationships with top gaming providers to bring its players continued cutting edge graphics, intense coloration, along with clever plots and stunning animation. mr.play looks forward to its continued growth with the addition of new games in live casino, slots, scratch cards and more throughout 2019.